Bauchi State University (BASUG) Supplementary and Final UTME and Direct Entry Admission List for 2018/2019 Academic Session - Download BASUG Supplementary & Final UTME/DE Physical Screening List in PDF. This is to inform all candidates that applied for admission into the Bauchi State University (BASUG) 2018/2019 academic session Post UTME screening exercise that the management has released the supplementary names of candidates to present themselves for physical screening at the designated campuses. Bauchi State University, Gadau hereby invites the under-listed candidates for physical screening from Thursday, 8th November 2018 to Monday, 12th November 2018. 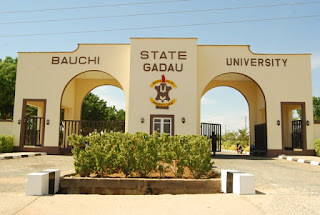 Bauchi State University, Gadau hereby invites the under-listed candidates for physical screening from Tuesday, 24th October 2018 to Friday, 2nd November 2018. Bauchi State University, Gadau hereby invites the under-listed candidates for physical screening from Tuesday, 30th October 2018 to Wednesday, 31st October 2018.